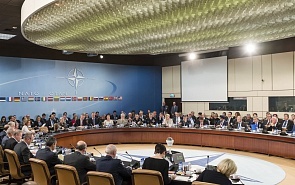 The latest NATO summits’ decisions aimed at increasing readiness and, countering the long-established trend, military personnel in Europe are intended to show determination. Is this really the case? Can the latest US security initiatives like European Reassurance Initiative alter the balance of power in Europe, or is it just a political gesture? Does it ultimately pose a threat to Russia?